Iran remains “committed to freedom of movement on the high seas,” Iranian Foreign Minister Mohammad Javad Zarif said. Iran remains “committed to freedom of movement on the high seas,” Iranian Foreign Minister Mohammad Javad Zarif said Wednesday. Zarif was speaking as Iran continued to hold a cargo ship Tuesday. According to Zarif, freedom of movement on the seas was a “necessity for Iran and everyone,” and Iran was second to none in its honoring of that principle. Zarif did not directly comment on the Iranian seizure of a foreign-flagged ship in the Straits of Hormuz Tuesday. 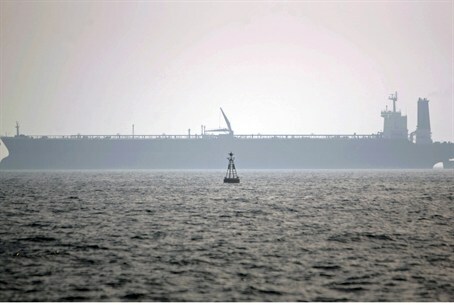 Iran seized the ship Tuesday, firing shots at it, claiming that it entered Iranian sea space. The ship, flying the flag of the Marshall Islands, belongs to the Maersk Shipping Line, and is managed by a Singapore firm. On Tuesday, the US denied reports that the ship was an American one. The US has defense obligations to the Marshall Islands which are currently being reviewed by the American government as it formulates its response to the situation. The ship is apparently owned by American investors. An American official said that there were no US citizens aboard, and that it was “inappropriate” for Iran to fire at the ship. According to Iranian sources, the ship was seized after “a legal complaint by a domestic private company” was filed. “The complaint by a private plaintiff resulted in an order issued on March 17 for the confiscation of assets held by Maersk. It was announced that the issue was a legal dispute between two trade companies and the American forces accepted it,” the source said.